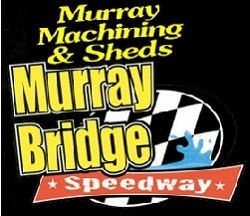 The Murray Machining and Sheds Murray Bridge Speedway pit area will be filled with a range of racing vehicles this Saturday night (February 9) with the main feature being the Load 28 / Bonetti Transport and Hire South Australian AMCA National Championship, with drivers from four Australian states entered for what is the biggest race on the local AMCA calendar. Every race meeting of every season at Ausdeck Patios Archerfield Speedway sees various race divisions hit the track in addition to headline categories and the efforts of these various support categories often goes unappreciated despite the vital role they play in making each show a success. This Saturday night (May 20), several of these race divisions will get their moment to shine with Australian Championship events for Open Sedans and Ford v Holden v Sigmas, plus action from AMCA Nationals, Compact Speedcars and the future stars of the sport with junior racing in sedans and Formula 500s. On a night that will also feature the annual King of the Ring and Enduro events, race fans will be treated a variety-packed program in what is the penultimate event for the 2016/2017 Archerfield season. The first Speedway meeting of 2017 will take place tomorrow night (Friday January 6) with a Club Championship meeting at Adelaide Motorsport Park for Wingless Sprints, AMCA Nationals, Street Stocks and V6 Sprints. 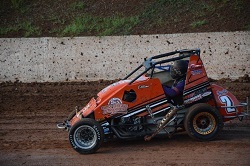 Andrew Pezzutti, Matt Hardy and Michael Kendall were the big winners at Ausdeck Patios Archerfield Speedway on Saturday night (April 30), winning their respective feature races on a triple-bill program that produced action aplenty. 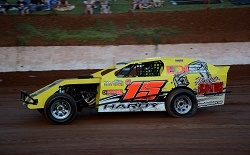 Backing up from his Australian Championship triumph a few weeks earlier, Hardy clinched the Queensland AMCA Nationals Championship, with Pezzutti proving too quick in the Super Rooster Dirt Modified Feature race. In the final round of the Polar Ice Midget Track Championship, Kendall led throughout the feature race to clinch his fourth consecutive series win. This Saturday night (November 14) Speedway City will feature a massive night for the kids with a “Night of Total Destruction” with a host of exciting novelty events including a Monster Fireworks Display, a Laguna Loans 4 Cylinder Demo Derby, Wingfield Wreckers Steel Wall Car Stunt, Car Dominos and a Flaming Inferno. If that isn’t enough the event will also include a full racing program with the thundering V8 Late Models, AMCA Nationals, Junior Sedans and the traditional Ford v’s Holden battle in the Street Stocks. 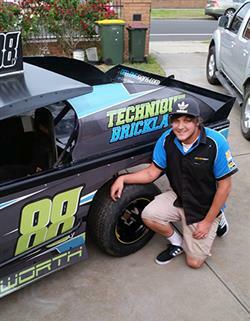 Geelong based racer Chris Halesworth has stepped into AMCA racing this season moving out of Wingless Sprints where he had his previous speedway racing experience up until the end of the 2013/14 season & after a season away from the track Halesworth can’t wait to get stuck into things against his new competition & friends. Victorian Mark Lincoln has been crowned the 2015 Australian AMCA National Champion following two big nights of racing at Murray Machining and Sheds Murray Bridge Speedway. 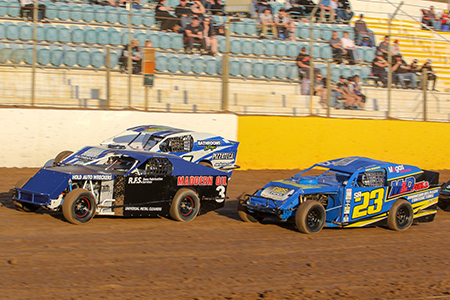 After qualifying from position seven Lincoln worked his way to the front just after the mid-way point of the 30 lap final and from that point he held off a determined challenge from Tim Reidy in what was a great finale to the 2014/15 Murray Bridge Speedway season. The ANZAC Day Weekend will see a massive two nights of high class racing as the Murray Machining and Sheds Murray Bridge Speedway as it hosts the 2015 Australian AMCA Nationals Championship. The two night event has attracted the best drivers from across the Nation to the Kennett Road riverview venue, with over 40 drivers currently nominated including a whole host of current and previous State and Australian Champions. Brett Petrou & Heidi Lincoln have started off their recent entry into the Victorian AMCA Nationals ranks in the best way possible when they headed to Blue Ribbon Raceway Horsham for the 2014/15 season Victorian AMCA title, then drove away from the venue with the title in the bag after driver & former national champion, Mark Lincoln secured the prized number 1 plate for the team. The 2013/14 Victorian AMCA Nationals season has drawn to a close and the end of season results were revealed at the recent presentation night held in Geelong. 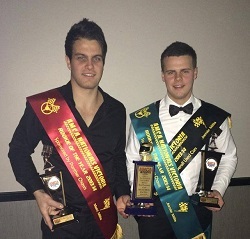 The Murray Machining & Sheds Murray Bridge Speedway season was celebrated on Saturday night by more than 115 people, with Ryan Alexander, Danny Prade and Nathan Thorne taking out the main awards at the annual Presentation Dinner. The Queensland AMCA Nationals season is now done and dusted and it was David Ohl and Matt Hardy who shared the spoils at the recent AMCA Nationals Queensland end-of-season presentation. Heath Bunting Racing made their second appearance of the season when they hit the track at Avalon Raceway on March the 29th only for things to go horribly wrong when the car steering broke and sent the Hamilton resident slamming into the concrete at full speed and ending his race meeting in his first heat only a few laps into the race. 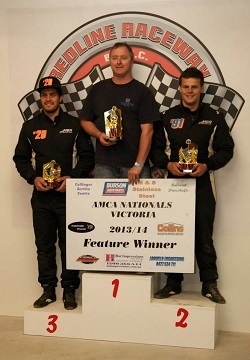 Melbourne based AMCA team Mills Brothers Racing has scored a double podium finish at the third round of the AMCA Action Series held at Redline Raceway on January 18th. This feat is a first for the team as well as being the first podium finish for both MBR drivers in the team’s rookie season. 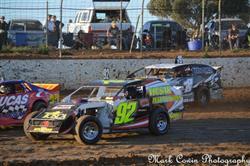 The 2014 South Australian AMCA Nationals state title is locked in loaded for Murray Machining and Sheds Murray Bridge Speedway this Saturday night (25.01-2014). With a stout field of 25 competitors and many travelling from far and wide for a crack at the title; Western Australia, Queensland, New South Wales and Victoria the South Aussies the local chargers will have their work cut of for them defending home state pride as the honour of wearing the SA #1 goes up for grabs. 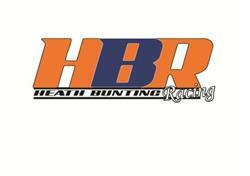 The South Australian Aspire Homes AMCA Series comes down to the wire this weekend as the final round of the series will be run and won this weekend (Jan 4th - 2014) at the Riverland Speedway located in Renmark, South Australia. Victorian AMCA racing recently seen the return of the Victoria # 78 car after four seasons of waiting for the Heath Bunting Racing team to return to the track, the Western Speedway home crowd in Buntings home town of Hamilton finally got to see the driver race and he almost started with a bang. 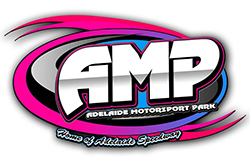 The South Australian Aspire Homes AMCA Series has been on a whirlwind run criss-crossing the countryside of late kicking off in Mount Gambier then last weekend Mildura Victoria and now (14.12.2013) they travel to the little bullring of the Tolmer Speedway Bordertown, South Australia. 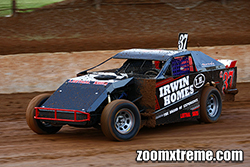 The South Australian Aspire Homes AMCA Series is set to venture across the border and into the Sunraysia district of Victoria this Saturday night (07.12.2013) on the racy clay of the Timmis Speedway in Mildura.